Something to look forward to, as announced on TFL, especially after the disappointment of GBCoC. It looks like my AB Napoleonic army will see the table soon. Will it be the grail, we shall have to see. Read the TFL interview; interesting! I am actually looking forward to seeing the book. I too am looking forward to this set...same too as I can dust off my 15mm Naps. What is "GBCoC"? 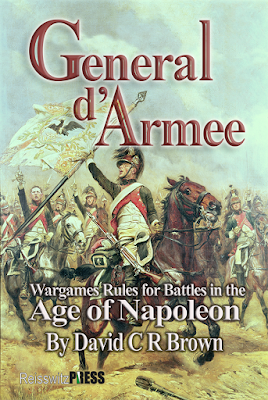 It was a playtest of Napoleonic variant of Chain of Command by the author of Le Feu Sacre. I look forward to reading your comments on the rules, John. I am hoping to do a play test soon.